For years I’ve thought it would be awesome to be a person who bakes bread. But I’ve been so intimidated that I haven’t even tried. I mean, what flour to use? How long to knead? What if it’s gross? Doesn’t it take soooo long? Well, a couple weeks ago, I faced this fear head on. I’ve seen the book Artisan Bread in Five Minutes a Day several times but have never tried anything. The Splendid Table posted this recipe on Facebook and I decided it’s finally time. In the last week and a half I’ve made bread more times than I should probably admit to. It really is so easy! Just mix it, let it rise, form it, let it “rest” and bake! Seriously, so easy. Do it. The cool thing about that book is that it uses just a few simple recipes and then gives dozens of ways to use them. So the “master recipe” can be used to make an artisan loaf, a loaf loaf (not really sure a better way to describe this…it looks like a loaf of bread), baguettes, buns, and on and on. 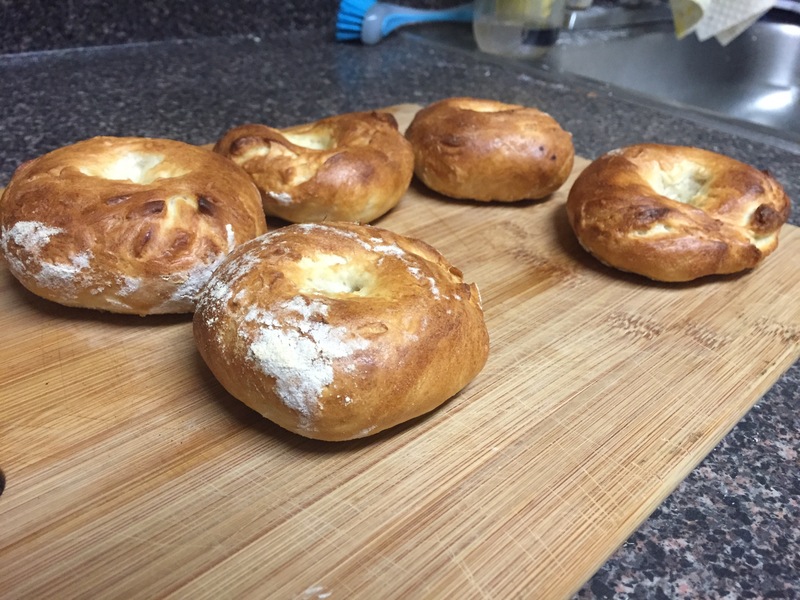 The challah and brioche recipes can be used for all sorts of pastries. Can you tell I’m quite excited about this new stage in my life? 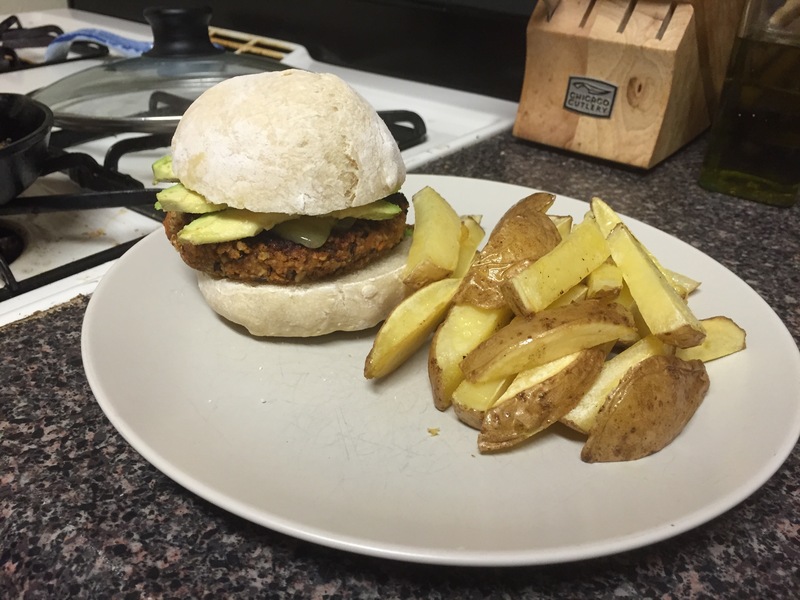 Here’s the first round of my sweet potato black bean burger. 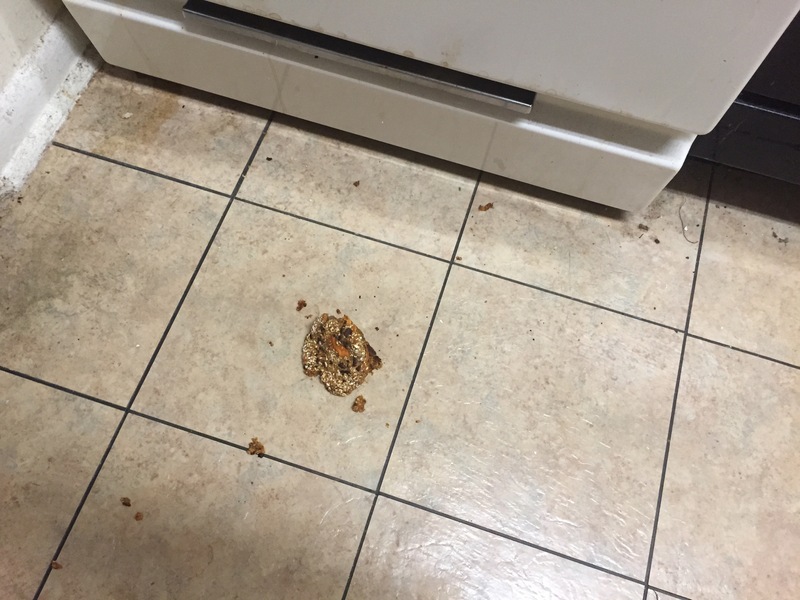 Some day I will stop dropping my food on the floor. All of these things will be happening again soon, but for now I’m most excited to make this new Smitten Kitchen recipe for a mushroom marsala pasta bake. I’ve been wanting to try to make potpie, but I’m not usually cooking with meat these days. Anyone have a great go-to veggie potpie recipe?